Overweight... AND OVER IT! 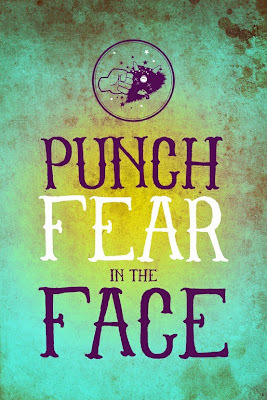 : Punch Fear in the Face! 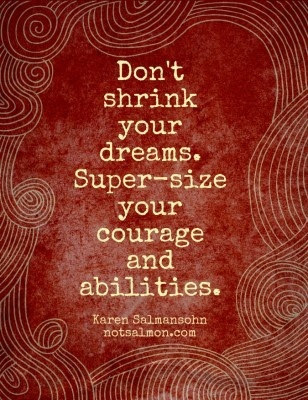 I pursued one of my dreams today... and I didn't shrink it. I refused to allow Satan to steal my joy and I ignored his lies that told me I was inferior and insecure. 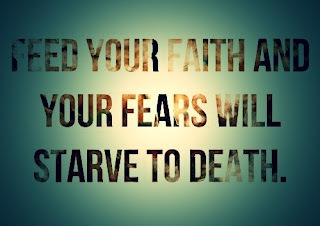 I asked God to give me strength, courage, and confidence, and to help my abilities shine! I also asked four people to pray along with me. The time came and I went into the situation excited and fearless! Positive, constructive, hopeful, and encouraging words flowed from the mouths of those in the room. It gave me goosebumps. I knew God's hand was in this! Everything was fitting together like a glove and it was clear I was supposed to be in that place at that time. I left on a high note, feeling my dream was revived! I feel so much hope and confidence right now... and it's because I have faith that God is in control and I believe His plans are much greater than mine.